Thank you for all your support during the soft opening period at our Castro Valley location! We’re happy to announce the official Grand Opening! 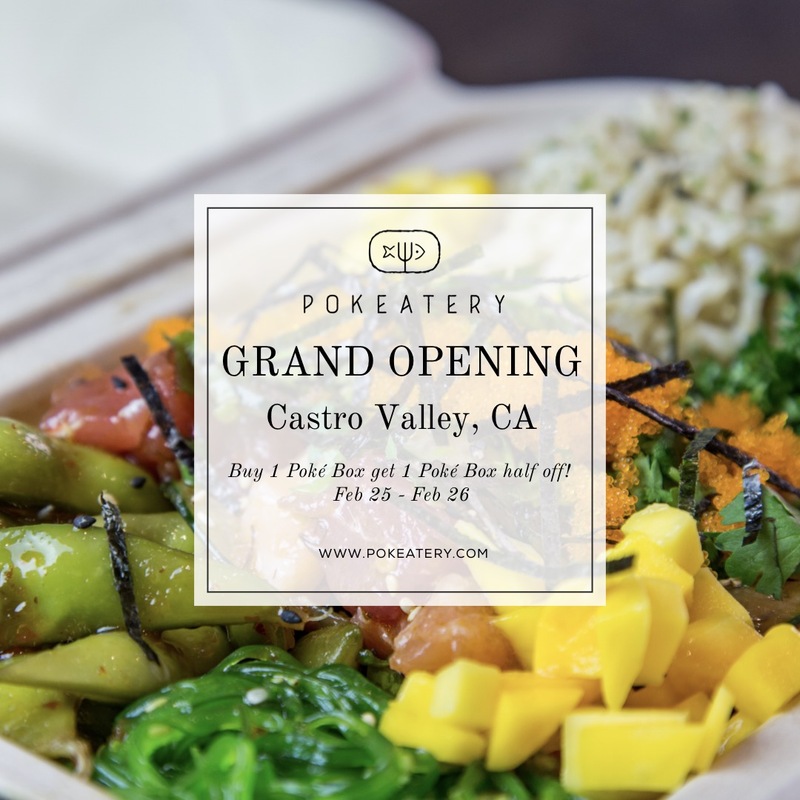 In celebration, Buy 1 Poké Box, Get 1 Poké Box half off! Hours: 11am-8pm daily, starting Feb 25. Special offer valid all weekend, Feb 25 – Feb 26, at the Castro Valley location only.